BEST SELLER. 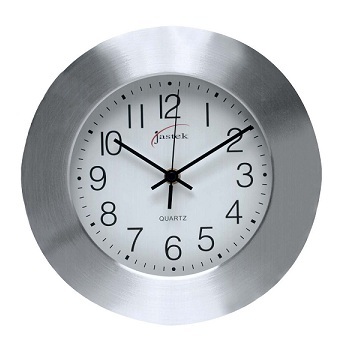 Sturdy and stylish analogue clocks to complement any office décor. 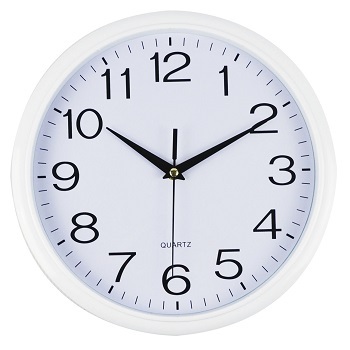 White clock face with large clear numbers and sweeping second hand. Size - 250 mm dial with a matching smart white trim. 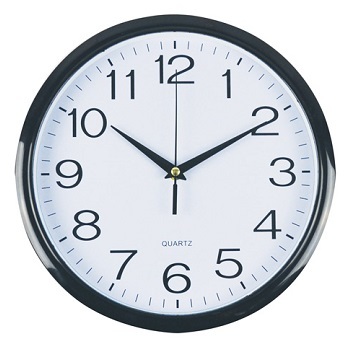 Traditional wall mountable analogue clock suitable for any office. 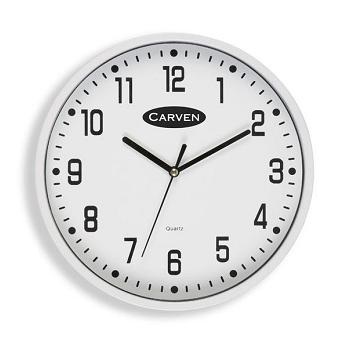 Clear, bold numbers on a white clock face with a sweeping second hand. Size - 300 mm dial with either a Black or White frame / trim. The Aluminium finish provides a modern sophisticated look, suitable for corporate environment and home office. The second hand does not 'tick' but moves in a silent steady sweeping motion around the clock. Size - 250 mm white dial with an aluminium frame / trim.